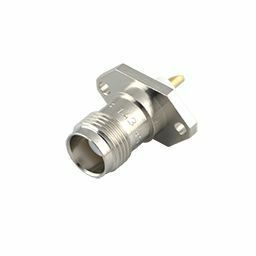 Screw-on connector, operating in the range DC-11 GHz. TNC was designed as a threaded version of the BNC to improve RF performance stability at higher frequencies. It is standardized according to IEC 60169-17. A high frequency version operating up to 18 GHz is also available for test and measurement (part series R143xxx7).